2015 has been a retrospective year for Opeth. Their 25th anniversary tour was celebrated by adding a full performance of the 2005 album ‘Ghost Reveries’ in addition to their regular ‘Pale Communion’ set and the year closes out with a deluxe remixed reissue of their classic albums ‘Deliverance’ and ‘Damnation’. Two albums that were recorded during the same sessions and intended for release together, but their record label at the time (Music For Nations) split them up and issued them 6 months apart. This reissue fixes that mistake and the new mixes from Steven Wilson (‘Damnation’) and Bruce Soord (‘Deliverance’) offer up a fresh perspective on this material, which was so important to the evolution of the band and what they’ve been able to accomplish in the ensuing years. Mikael’s best friend Jonas Renkse (Katatonia) suggested that the answer was to record two albums; one heavy, one softer. Mikael latched onto the idea immediately but their record label took some convincing. The only way the label would agree to a double album was if the record only counted as a single release against their contract and if they recorded it in the same amount of time and on the same budget as a single release. Despite only having three completed songs ready and a month to record the entire project, Mikael dove into writing and recording on the fly, often staying up all night writing and then recording the next day. To add to the stress of the situation, the first studio they booked was not well maintained and frequent equipment breakdowns quickly put them behind schedule. They soldiered on, changed studios and completed recording of the basic tracks, but Mikael was utterly exhausted and called on his friend Steven Wilson (who had co-produced ‘Blackwater Park’) to assist them with finishing the project. Wilson would help to put the finishing touches on the ‘Deliverance’ half and then him and Mikael worked together to craft ‘Damnation’. Steven contributed keyboards and backing vocals for both albums in addition to writing the lyrics for the song Death Whispered A Lullaby. “Deliverance was always meant to be a dark and heavy record. I can’t remember why I wanted it to be, to be honest. At the time of writing the songs, I wasn’t listening to any music like that. I only played soft singer/songwriter stuff or progressive rock. Based on the finished result, any fears Mikael may have had about losing touch with their heavy side were utterly unfounded. ‘Deliverance’ is one of their heaviest and most intense records; probably made even more so by the stressful circumstances that birthed it. 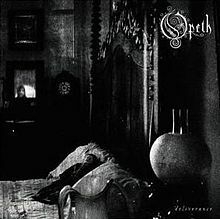 It’s the perfect mirror image to ‘Damnation’; the stylistic breadth of Opeth’s ‘from a whisper to a scream’ approach on full display. ‘Deliverance’ is a fairly uncompromising listen for the most part, but it also contains many moments of beauty and progressive rock sophistication. A Fair Judgment is my personal favorite track from these sessions, a multi-layered epic that begins with Steven Wilson’s plaintive solo piano intro and then ebbs and flows in dramatic intensity for the remaining 9 minutes. Mikael sticks to his clean voice throughout (at this stage getting more assured with each album) and the song also features some fine guitar solos and a nice doomy outro. The title track deserves special mention as well as it’s arguably the best prog-metal arrangement in their discography. If I could only pick one song to demonstrate their breadth of sound it would be this one. Military-precision death metal and delicate acoustic passages flow effortlessly into one another creating dramatic tension and release throughout the 13 ½ minute composition. The wonderfully hypnotic repeated rhythmic figure during the ending segment is thrilling, I can think of few bands that could pull it off. It may be a cliché but this song is definitely a jaw-dropper. Bruce Soord’s meaty remix of the album really brings out the dynamics of the original recording and is quite different in character to the original mix. The most noticeable difference is in the drums and the low end. Bruce removed the triggered “clicks” on the kick drums that were omnipresent during that era and that suddenly allows the bottom end to breathe, the kicks now push massive amounts of air. The original mix had very little low-end definition, now it will rattle the rafters. He has also used a wider stereo spread and more three-dimensional positioning of the vocal tracks and lead and acoustic guitar parts, giving the entire album increased depth and presence. While it’s still a fairly compressed sounding recording this version is a dramatic overall improvement and sounds fantastic in the 24bit/96khz stereo mix on the DVD. It can be cranked loudly with no discernable distortion. It’s going to sound like hyperbole but I honestly believe ‘Damnation’ is one of the most unique and beautiful albums of the past decade. 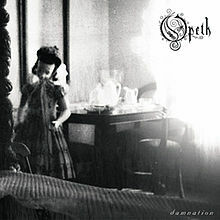 Opening track Windowpane was my first exposure to Opeth and it just sounded utterly timeless and classic from that very first listen. It’s not often that I hear a single song that starts an obsession, but that’s exactly what happened in this case. 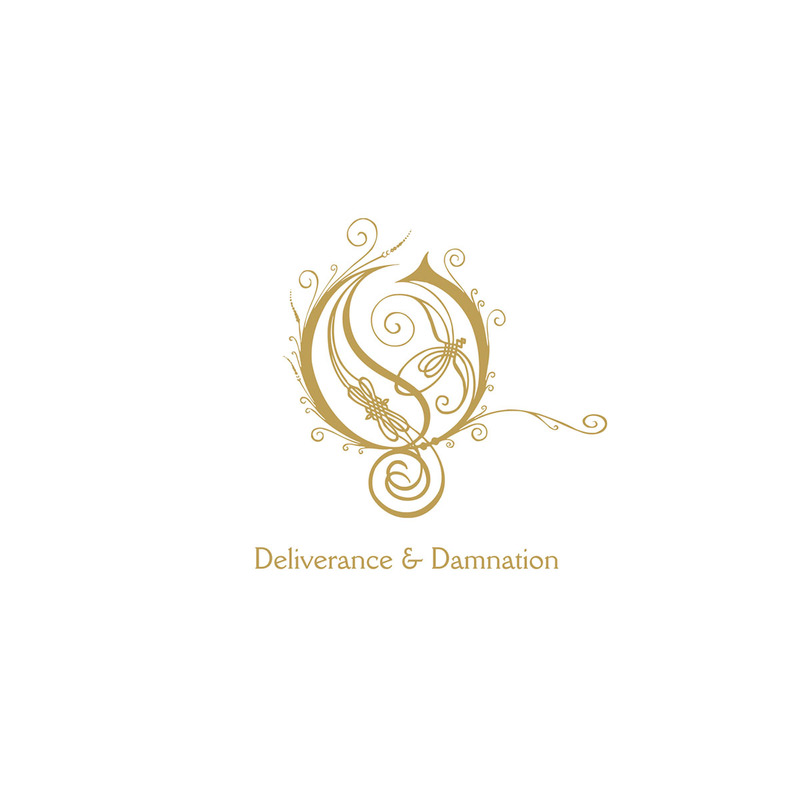 ‘Damnation’ is 44 minutes of melodic progressive rock perfection, one that acknowledges Mikael’s many musical influences while still sounding unmistakably like Opeth. The band responds brilliantly to the new challenges introduced by these arrangements and each member puts in a career-best performance. Special mention goes to Martin Mendez (bass) and Martin Lopez (drums) for their deft rhythm section work, I can think of few metal bands that could so convincingly alternate from the delicate swing of a track like To Rid The Disease to the full-on metallic assault of Master’s Apprentices. Steven Wilson provides an array of classic prog keyboard sounds to the recording and would inspire Mikael to expand Opeth’s lineup to feature a full-time keyboardist from this point forward. 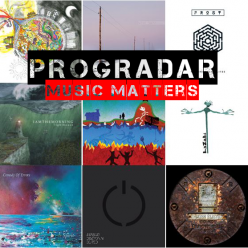 Steven Wilson’s remix stays true to the character of his original mix from 2002 while bringing out even more depth and detail to the intricate arrangements. 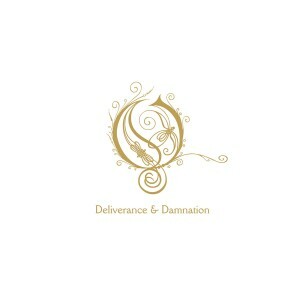 It’s not quite as dramatic of an improvement as ‘Deliverance’, but ‘Damnation’ was a good sounding album to begin with; now it sounds phenomenal. It’s an essential upgrade. Being able to experience both of these albums together, as they were intended, really helps illustrate what an important stylistic step they were for the band. ‘Damnation’ allowed Mikael to fully explore his progressive rock side without being restricted by stylistic concerns and that freedom carried onto his writing on subsequent albums. ‘Deliverance’ would simultaneously close one chapter of their career (the 4-piece lineup) while pointing toward the expanded creative direction they would follow on ‘Ghost Reveries’, ‘Watershed’ and beyond. For a deeper understanding of this material and the circumstances surrounding the recording sessions I highly recommend picking up the DVD set ‘Lamentations’. It features a documentary film made during the recording of the albums with interviews of the band and Steven Wilson. 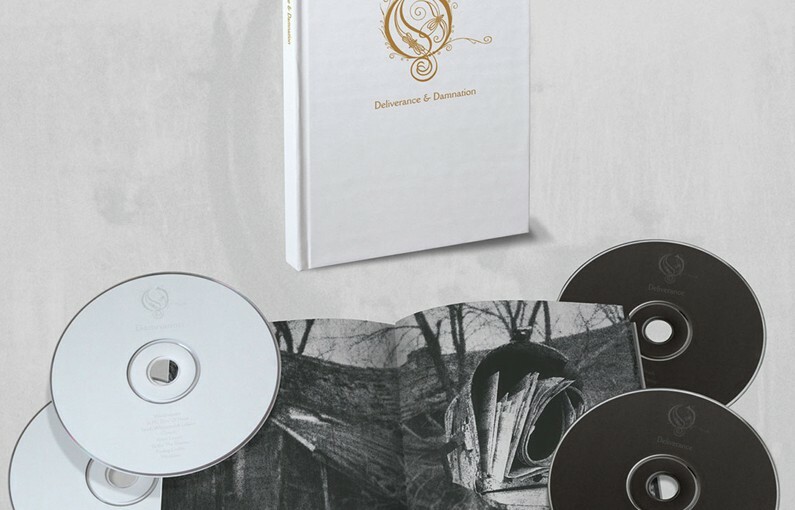 The concert recording features 2 sets, the first set including the entire ‘Damnation’ album and the second set featuring tracks from ‘Deliverance’ and ‘Blackwater’ Park. The concert was filmed at Shepherd’s Bush Empire in 2003.